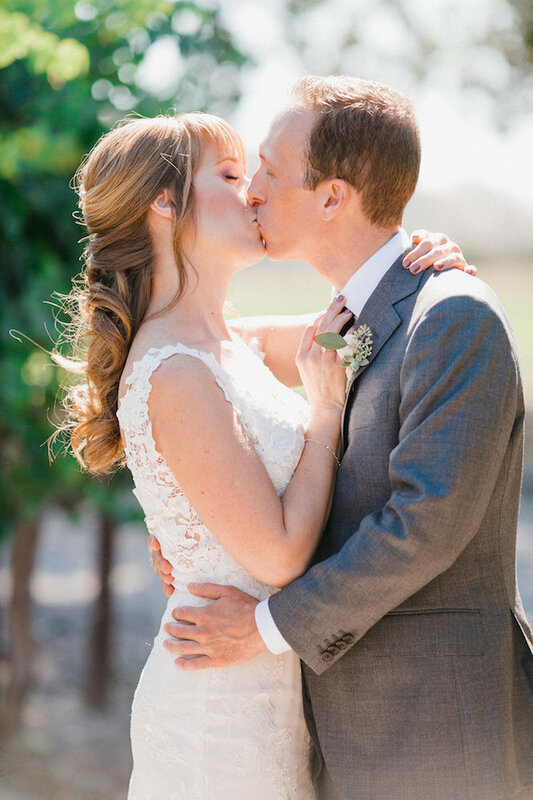 Alyson & Matt chose to hold their elegant wedding at Crossroads Estate in Los Olivos. 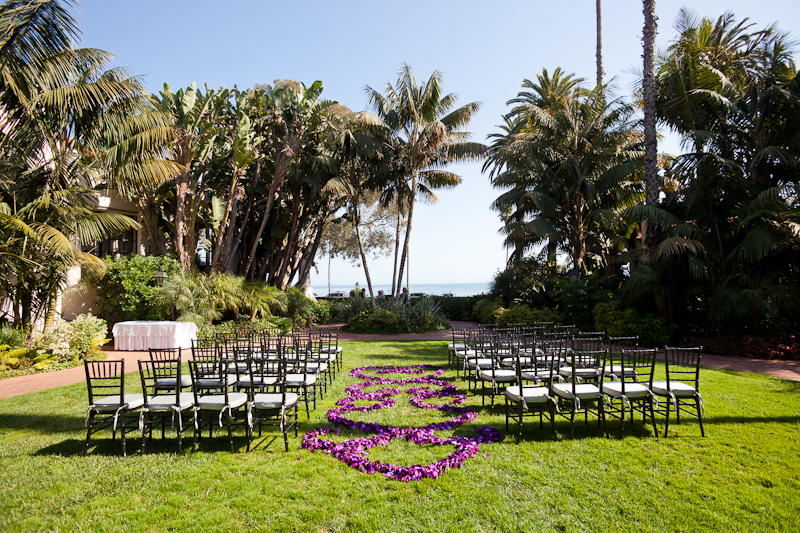 This venue is the perfect location for celebrating your wedding all weekend long. 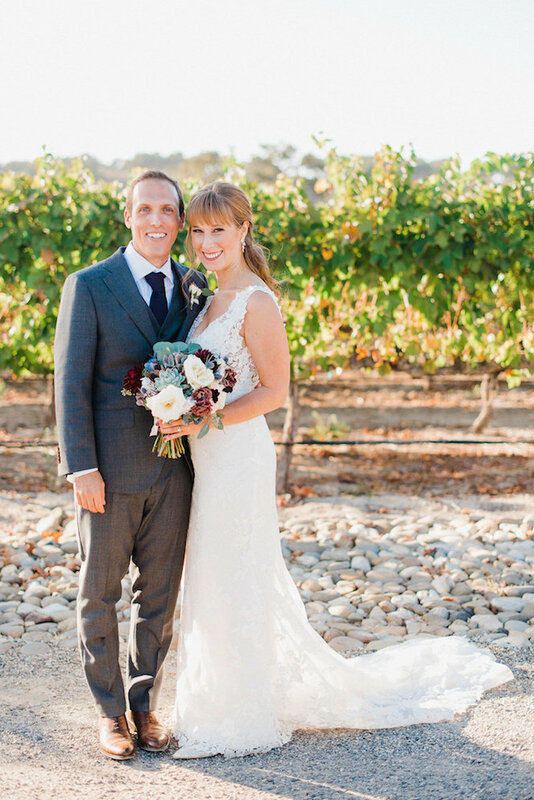 They checked into the house along with a few family members and close friends and enjoyed a full weekend of wine tastings, intimate family dinners, their wedding day & then visited nearby restaurant for Sunday Brunch. 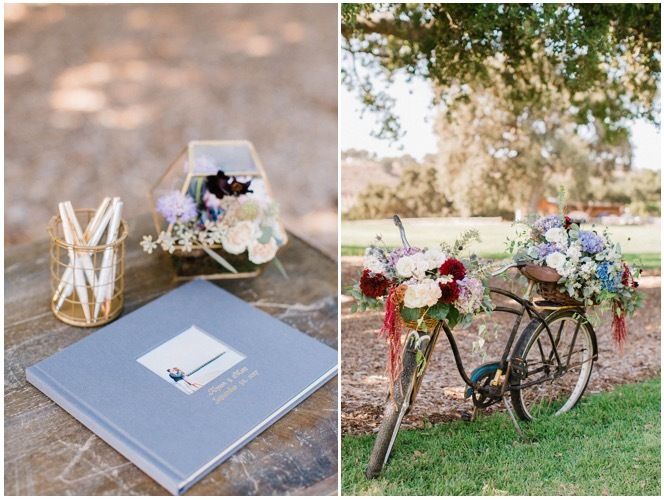 The decorated vintage bicycle was an important detail for the two of them as it tied into their engagement story. 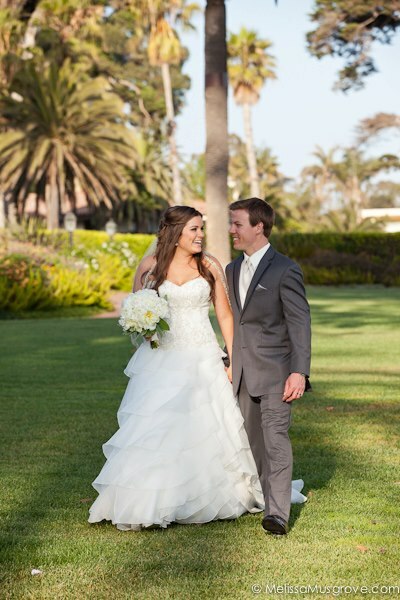 One of Alyson & Matt’s favorite things to do in Los Angeles is take long bike rides along the beach. One day after returning from a long trip, Matt suggested they take a nice long ride- despite it being cold & cloudy. After a 12 mile ride down to Manhattan Beach where they stopped for lunch & on the way back Matt suggested they pull over to take a picture and have a little break on a bench. He pulled out his phone and begin playing a slide show that he had put together to one of their favorite songs, with all of the photos of the two of them & the adventures they had been on since they started dating. That is when he got down on one knee & pulled out a ring box from his backpack and asked Alyson to marry him! 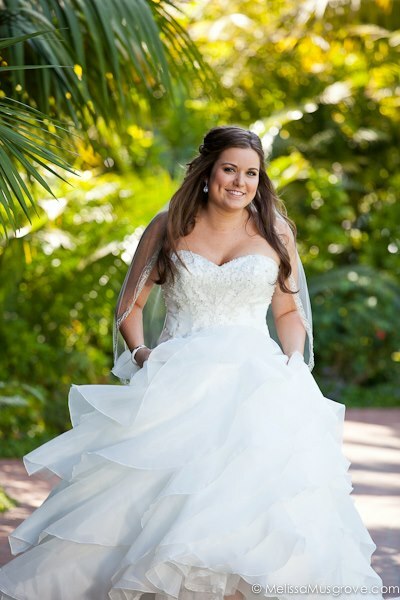 Right after that, the sun came out and they captured some gorgeous photos taken by at total stranger on the bike path. 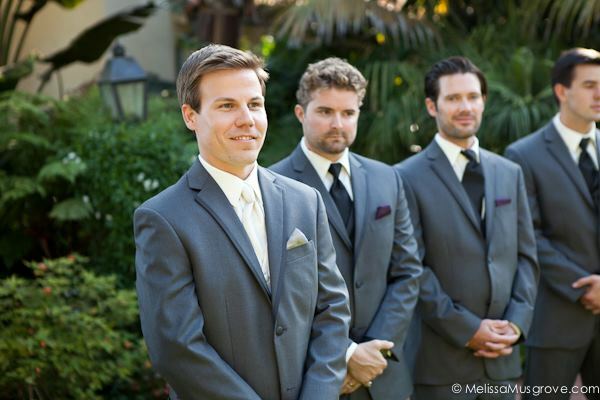 Alyson & Matt wanted each and every one of their guests to feel like they were a special part of their wedding ceremony. 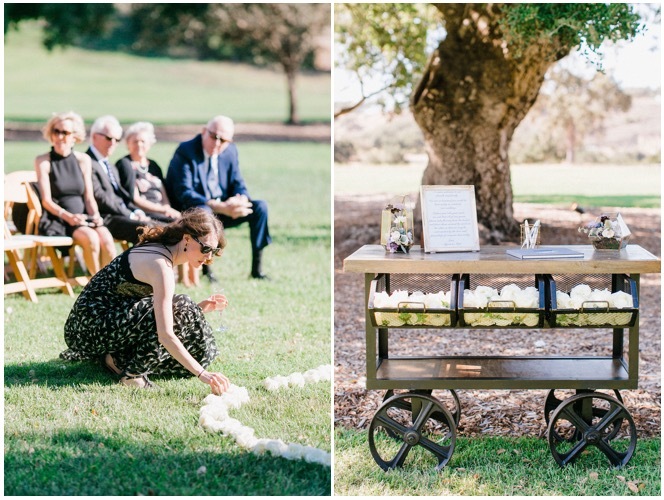 In order to do this, we displayed a sweet vintage cart filled with white roses & each guest was asked to take a rose and place it at the altar to fill in the circle around the two of them. This was a reminder to Alyson & Matt that they are surrounded by the love & friendship of everyone celebrating them on their special day! 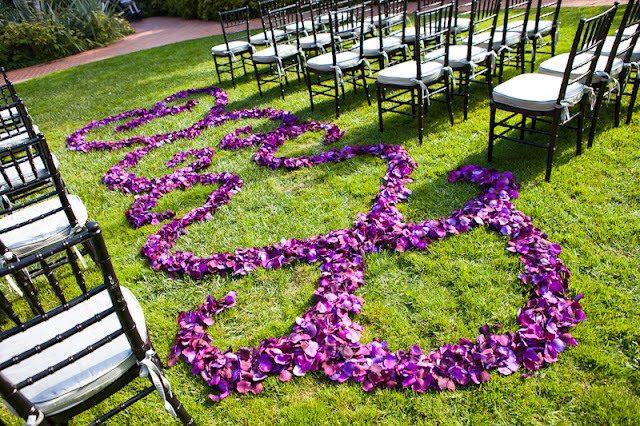 We made sure that the circle of roses was “almost” entirely closed and then in the middle of the ceremony the parents of the Bride & Groom were asked to come forward with their roses & close in the circle. 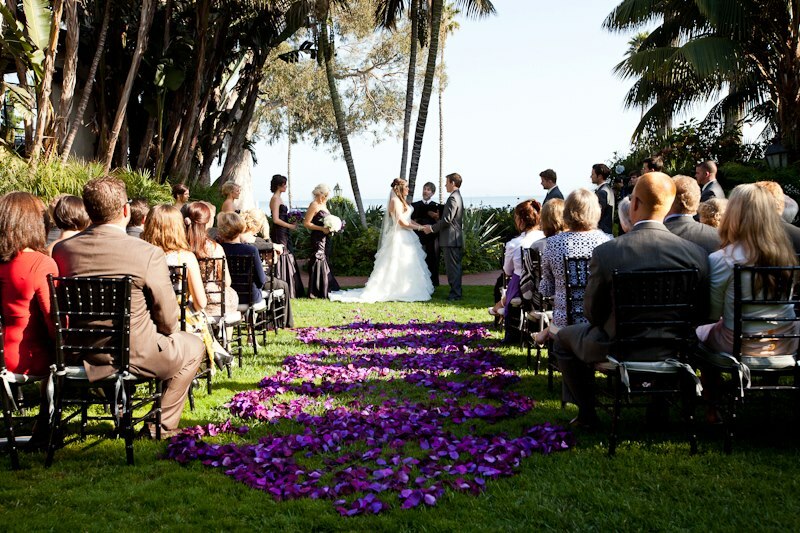 It was a beautiful moment & a detail we would love to repeat at future weddings! 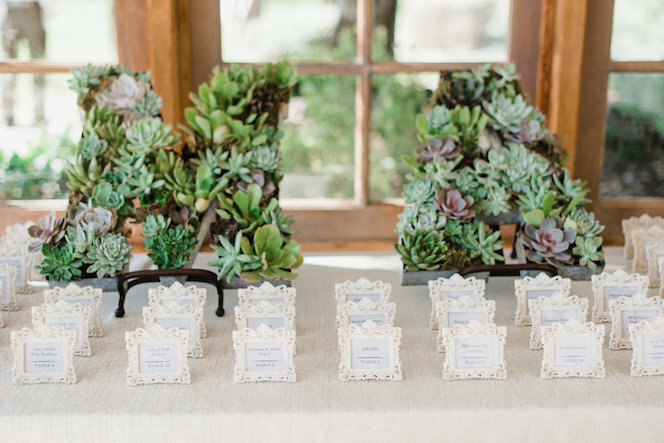 Alyson absolutely loves succulents and was excited to incorporate them into every area of her wedding day. 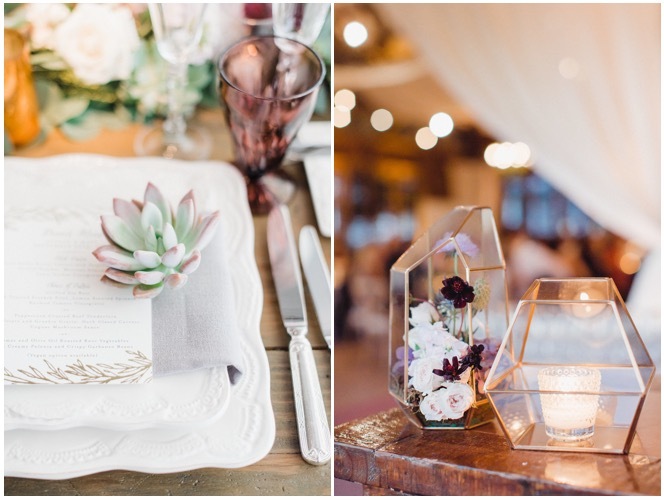 We were inspired by the gorgeous variety of colors succulents can range in- from soft silvery greens to faded lavenders and even deep rich purples! 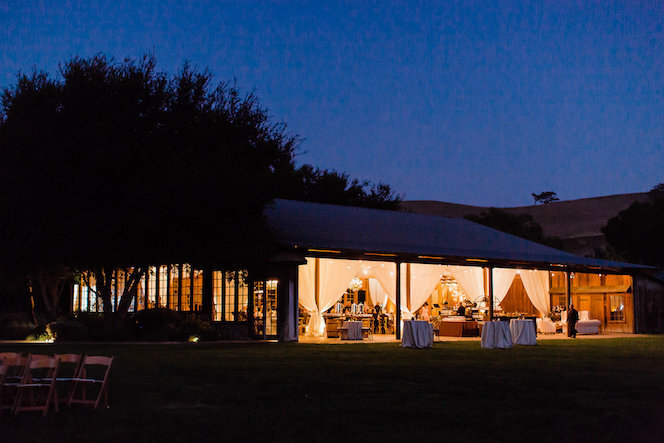 She also wanted to add elements that would dress up the Pole Barn, which is where we added in the fabric draping & additional lighting & eucalyptus dressed chandeliers. 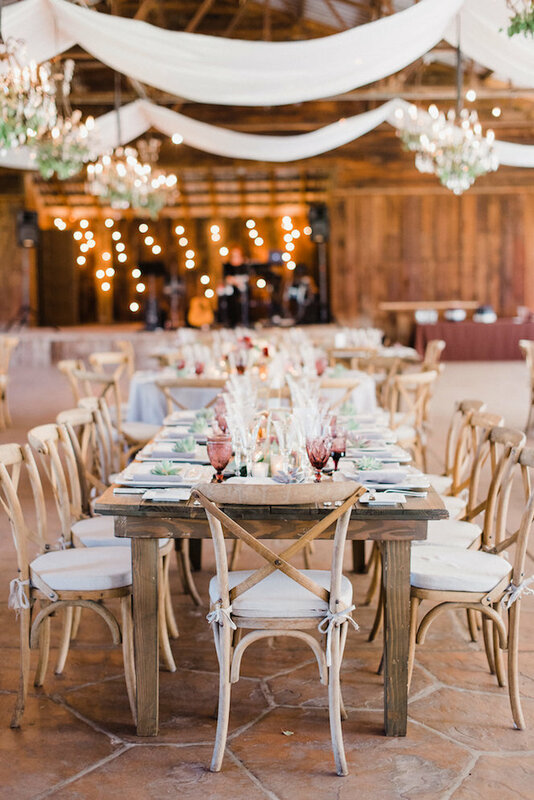 While also keeping some rustic elements such as the raw vineyard dining tables, wine barrels and vintage wine goblets- keeping everything in theme with the fact that we were on a working vineyard. 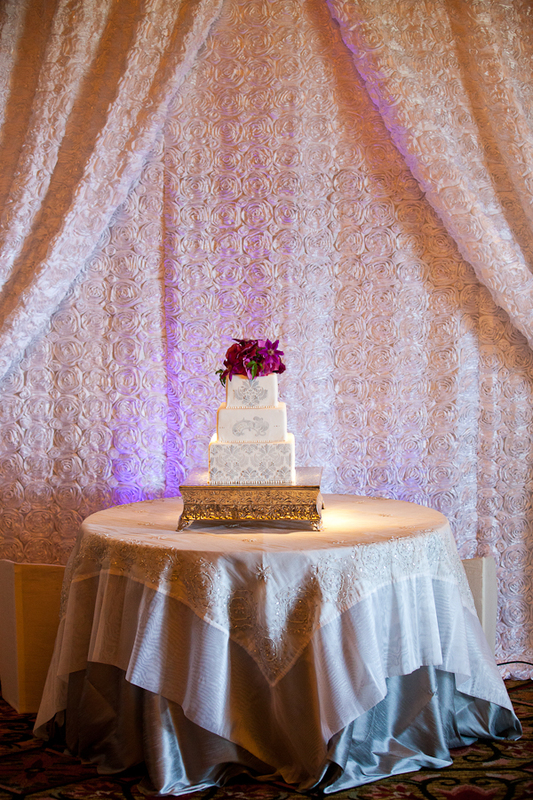 We could not be more pleased with how everything turned out, and it was obvious that no detail was left untouched. Everything looked more beautiful than I could have ever imagined. I was so excited to get Grace’s preview photos, because if felt like the day went by so quickly, I wanted to be able to see everything again through the photos. 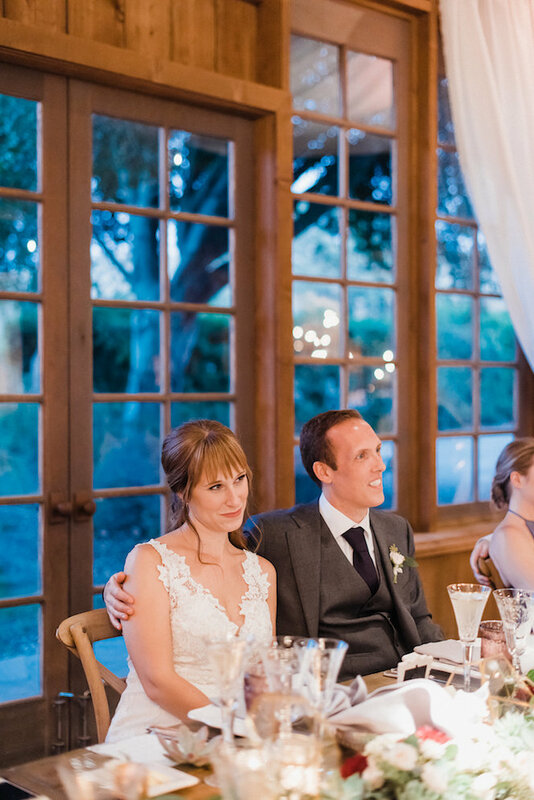 We are so lucky to have these amazing memories of our perfect wedding day, and it would not have been possible without you both. 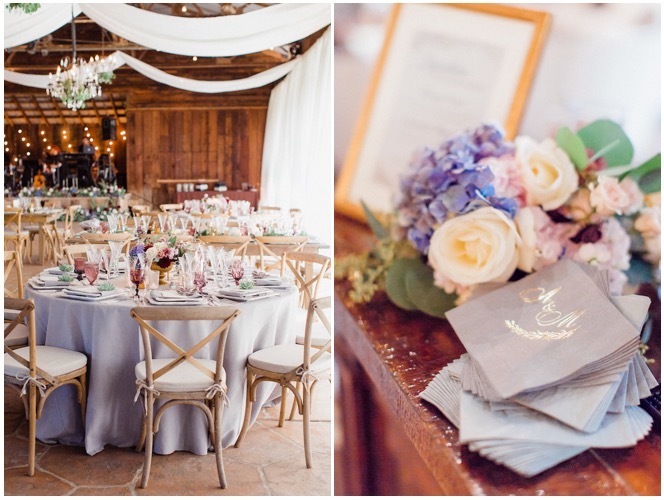 There is nothing like a colorful wedding at the San Ysidro Ranch to help get you through your Wednesday! 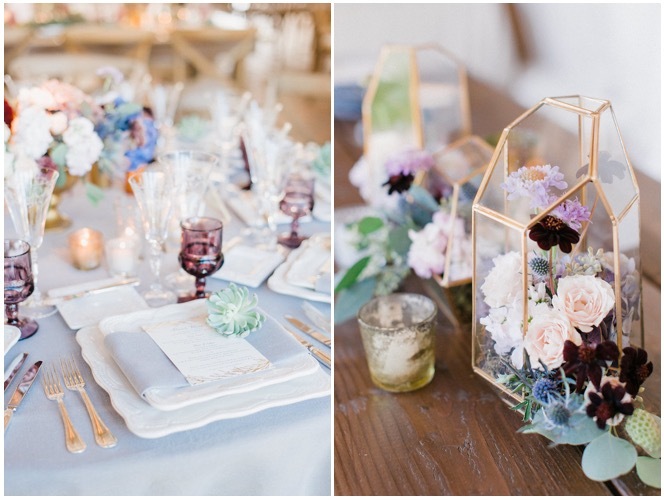 We were beyond thrilled to help the FABULOUS Laura of Cody Floral Design plan her own stunning and intimate wedding celebration. 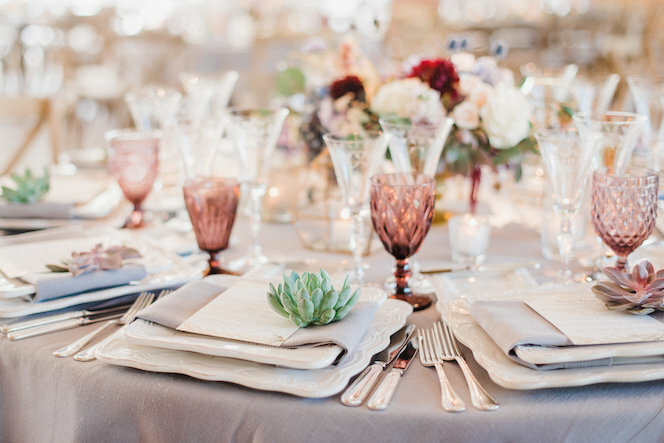 As a local wedding professional, Laura arranges some of the most glamorous floral arrangements that Santa Barbara offers- but we all get a little tired of the traditional wedding colors of whites and soft pinks. 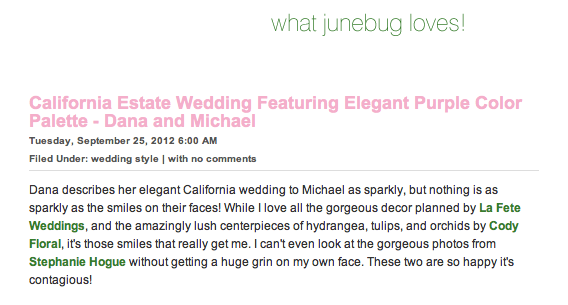 That is exactly why her own wedding featured tons of vibrant blooms and touches of color! 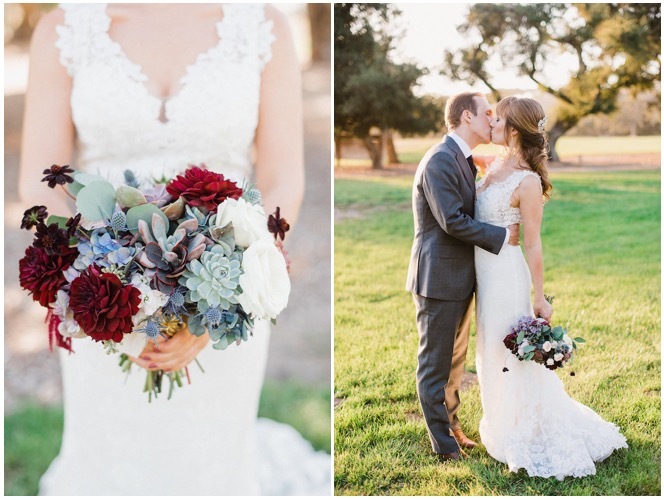 Laura & Michael exchanged vows in front of the insanely romantic Stonehouse Terrace fireplace which was dressed in wild greenery and two abundant displays of her flowers! The backdrop was complete once all of the candles were lit & tiny twinkle lights lit up the fireplace & surrounding trees. 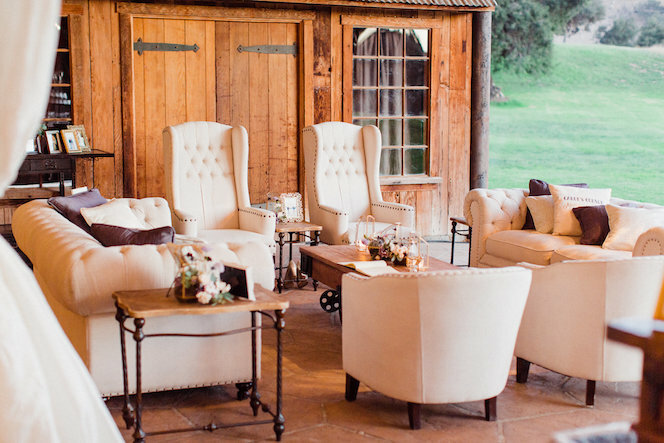 Throughout the grounds of San Ysidro Ranch you will find tons of petite vintage benches- which we utilized as the seating for their guests during the ceremony. 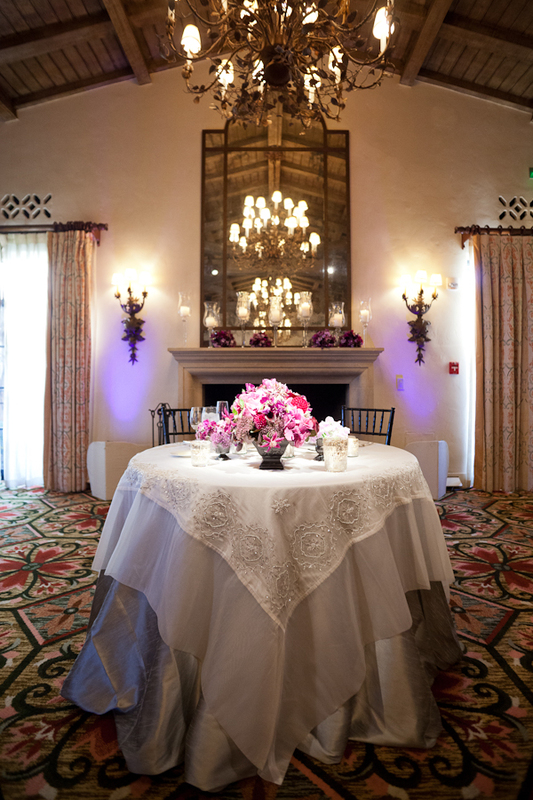 At dusk, the guests found their way into the Old Adobe where they each took their seats at this deep blue velvet draped table. 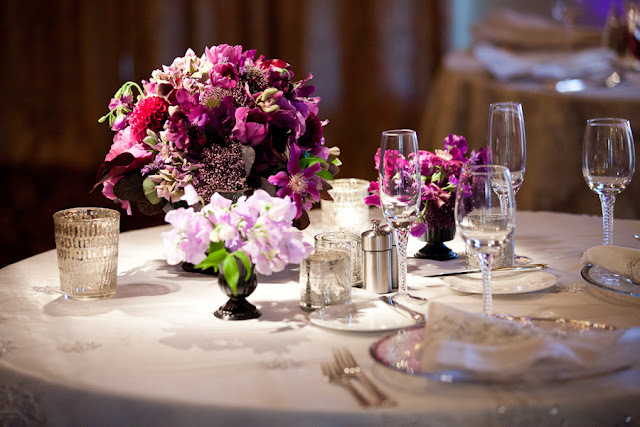 Each place setting held a perfect magenta peony which held together a silk napkin. And lets just say that the bride knew what she was doing when she put together these centerpieces! These abundant arrangements featured a stunning color palette of deep fuchsia peonies, garden roses, cafe au let dahlias & dripping clusters of grapes. The table also featured an impressive display of hurricanes and votives which made the space feel warm & inviting! 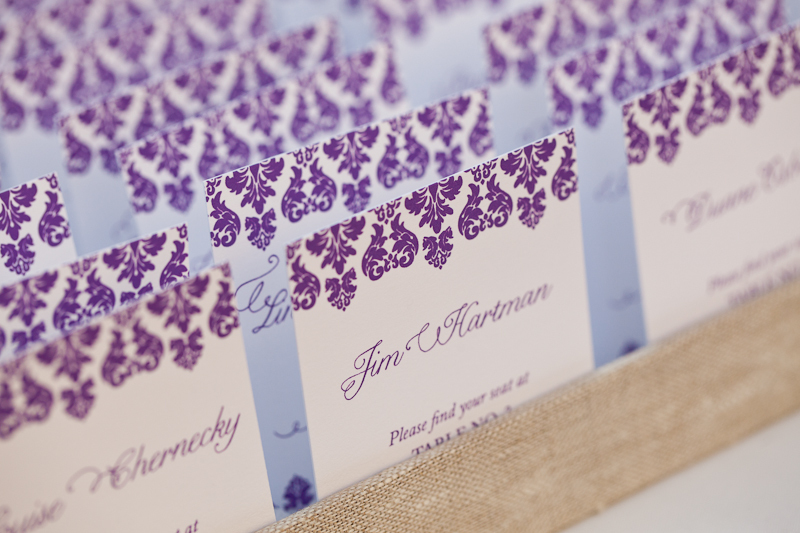 Lauren and Kasey attended a wedding that we had designed for their good friends Missy & Josh (view their wedding here!) and once we got to know them, we knew they were going to be a lot of fun to work with! 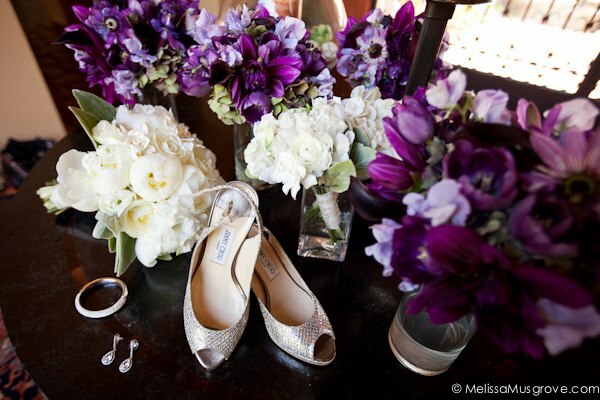 With spring in the air and fresh wildflowers all around us- we are looking back at this beautiful lavender wedding at Crossroads estate. 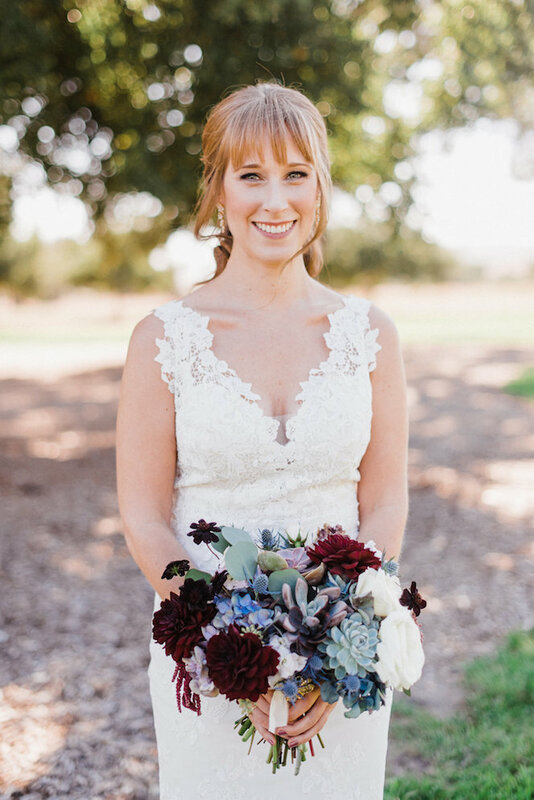 Lauren chose a stunning lace embellished gown with a striking low cut back and carried a fresh loose bouquet of garden roses, wispy greenery, and accents of lavender. 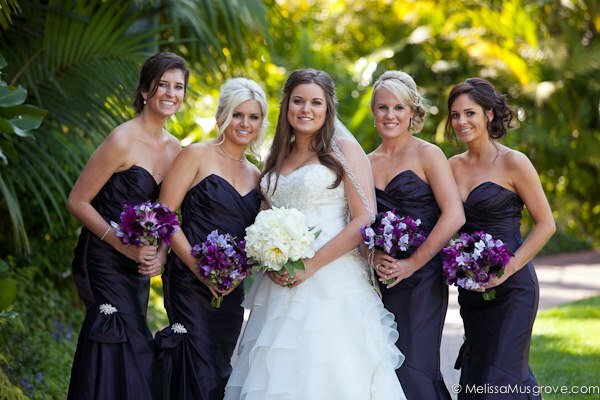 Her bridesmaids donned long flowing lavender chiffon dresses and carried smaller versions of the brides bouquet! 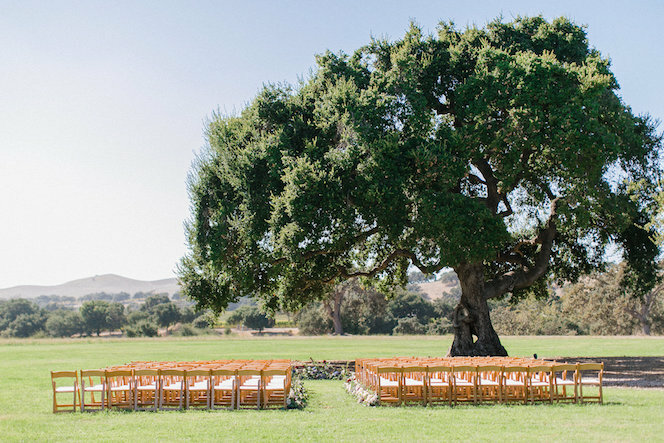 When designing the ceremony space for their wedding, we did not want to take attention away from the enormous oak tree that stands tall in the background. 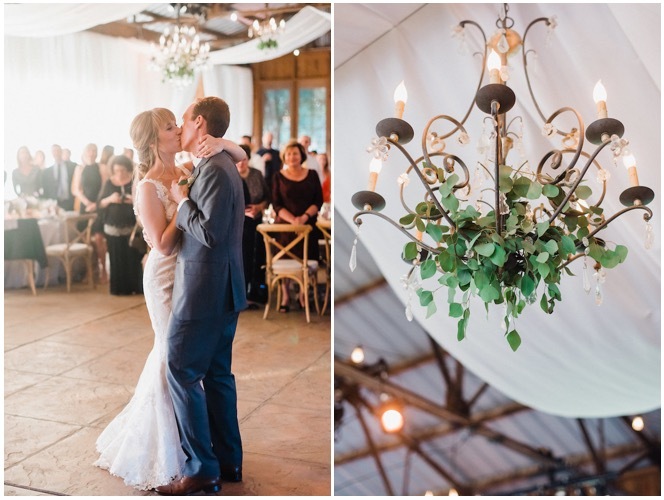 Laura of Cody Floral Design brought in eight large ferns which we used to line down the aisle, then mixed in some of our large vintage lanterns to add height & variety. Later, we repurposed the ferns & lanterns along the band’s stage to soften the space! Inside the barn at Crossroads we brought in a combination of round and long dining tables; some with exposed wood which were more Edison Style. 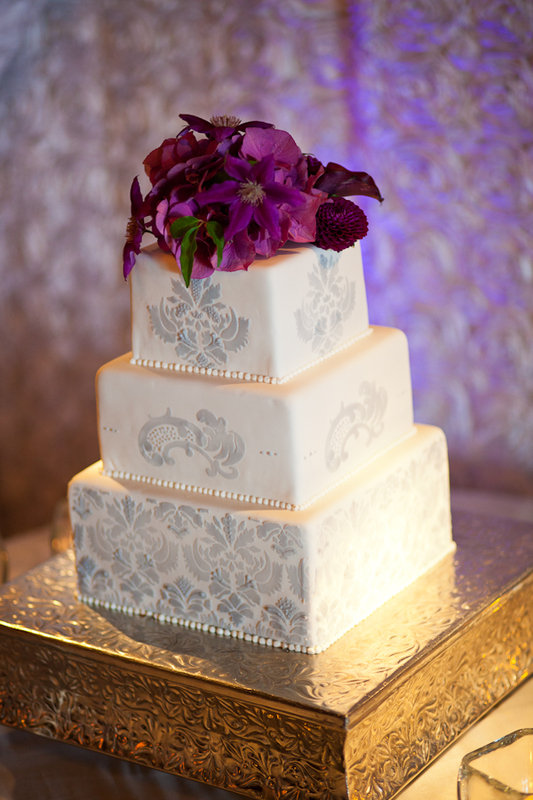 Then we introduced a gorgeous embellished white linen overlay which we used for the cake & head table. 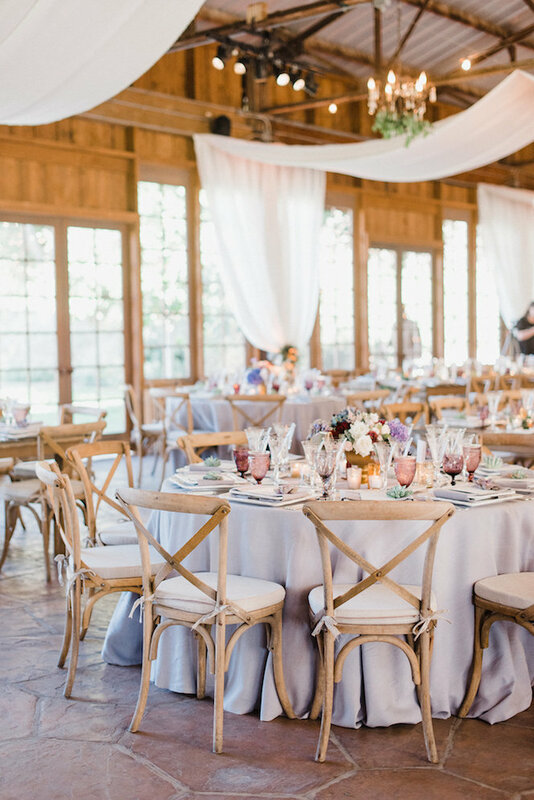 Each of the wood tables featured lush arrangements of garden roses, ranunculus, dahlias, and wild greenery which spilled out of the arrangements and over the table’s edges. 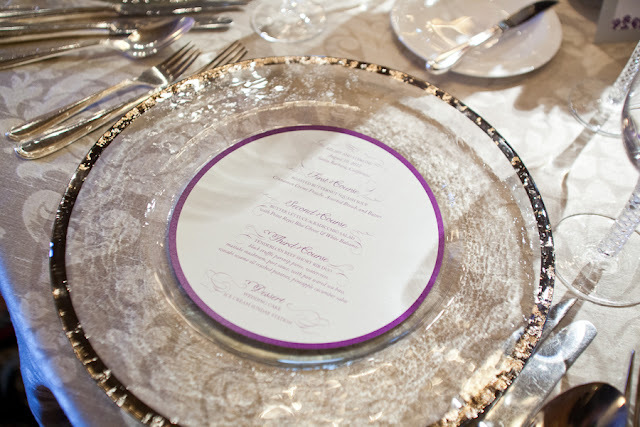 We layered stacks of ornate white china at each place setting & finished the look with lovely cut crystal glassware from Town & Country! 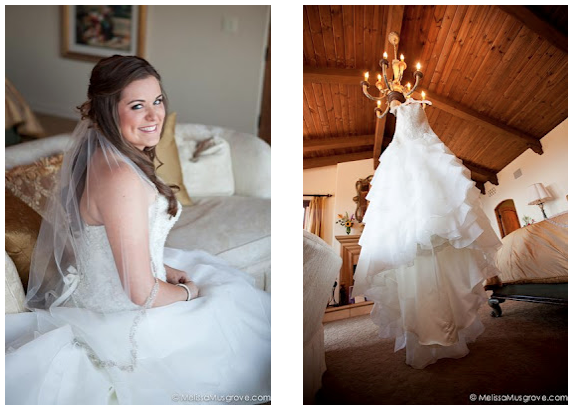 We hope you enjoyed this post about Lauren & Kasey’s lavender wedding at Crossroads. We are excited to be working at Crossroads again this September and bringing even more beauty into that space! As we approach the holiday season it inspires us to think outside the box and design our next Christmas Tea. Colette began the annual Christmas Tea tradition many years ago and has always enjoyed hosting a gathering of friends in her home . Each year we take the time to relax and reflect on the joys this past year has brought to us. From a young age I remember serving the women tea, passing trays of food around the table and sneaking a few scones to my dad from the kitchen. Three years ago we decided to mix things up. As wedding planners we are asked often to design photo shoots, which can be costly and we often find them to be a waste of a beautiful table… So we began beautifully designing our Christmas Tea so that we could do a photo shoot and then invite all of our close friends in the industry over to enjoy it! 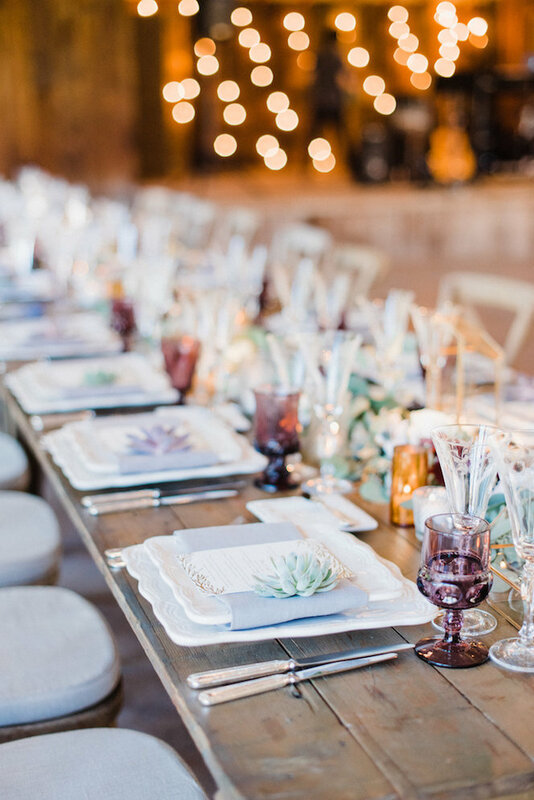 We figure if you are going to set a stunning table you might as well throw a party right? We are now busy finalizing all the details for this year and thought we should share some of our favorite photos from 2010, 2011, and 2012, Enjoy! 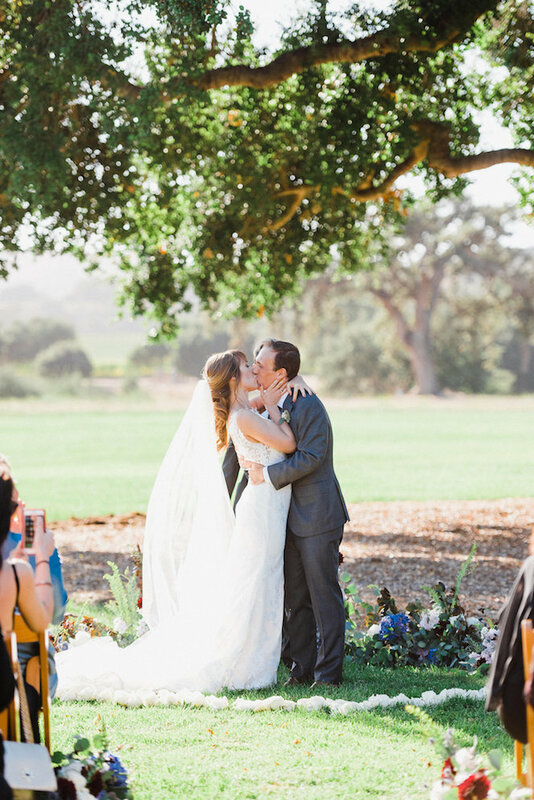 Zoe and Eric were married in New York City a month before this spectacular affair, and then they escaped for a 1 month African Safari. When we began designing their west coast celebration we thought “Why not bring your African Safari back to Santa Barbara?” Our minds raced with possibilities and when they agreed to bring in Stanley the Giraffe and Racer the Zebra, we couldn’t wait for this day to come! 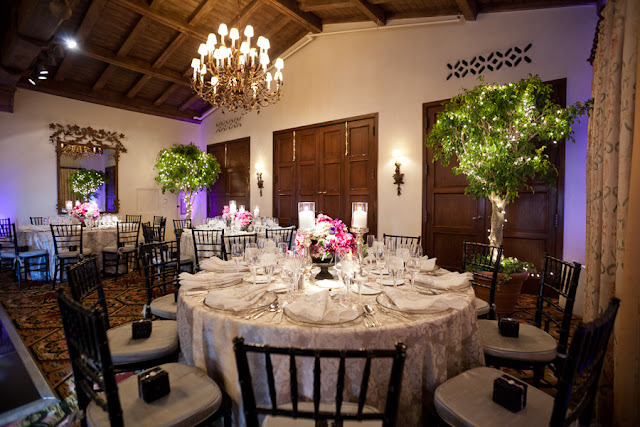 This event took place in Eric’s parent’s backyard in Montecito, a stunning Italian styled villa with the most incredible oak tree grove we have ever seen. As the guests arrived they were greeted by Stanley, then driven in safari dressed golf carts where Racer was waiting for them at the top of the driveway. Then the guests enjoyed incredible hors d’oeuvres and cocktails created by Duo Catering. 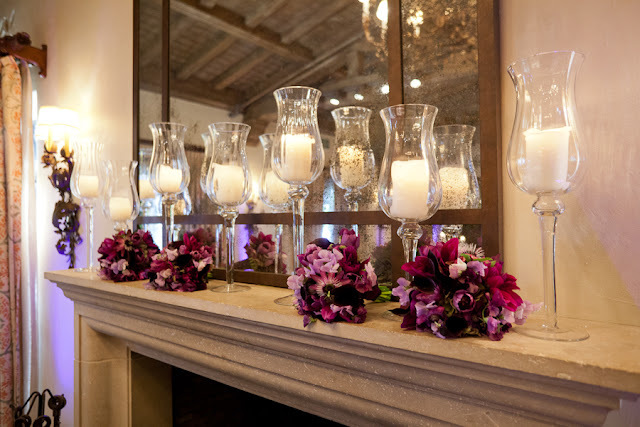 Laura Sangas of Cody Floral Design created these killer flower arrangements and she said had so much fun playing with leather and feathers on all of the little details. 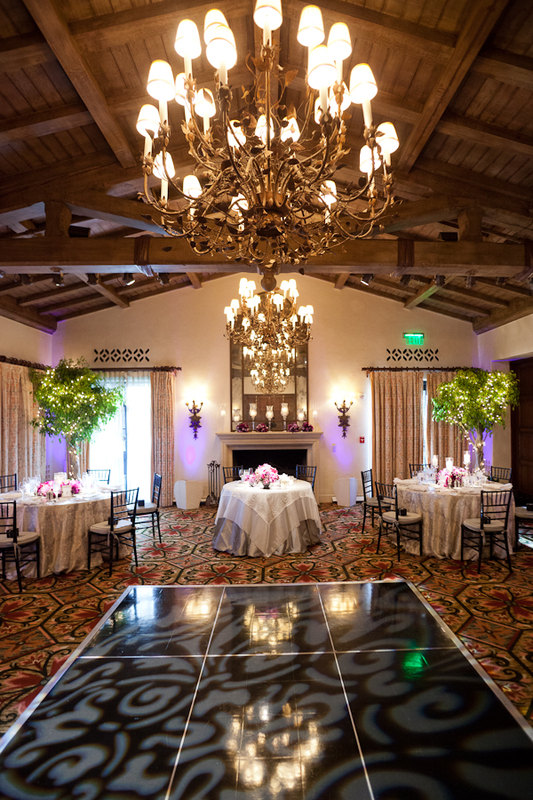 Town & Country Event Rentals built a plank wood subfloor and then Ambient created the beautiful fabric draping and lighting. 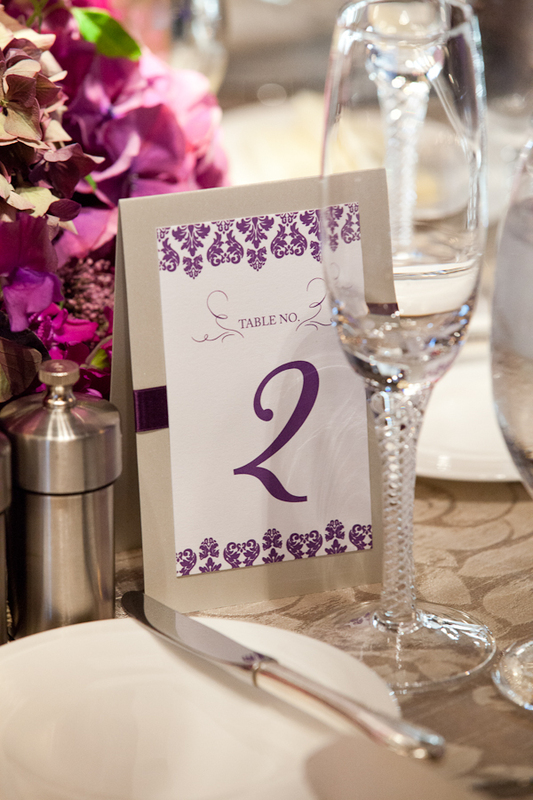 The Bride and Groom spent hours hand drawing each of the table numbers. Such a creative couple and a very personal touch! African Drummers dressed in traditional attire lead the guests from cocktail hour down the reception canopy. This was a fantastic way to set the tone for the evening. As soon as we had all of the guests on the dance floor we brought out the gorilla. This was a surprise to the Bride and Groom and such a fun way to end the evening! 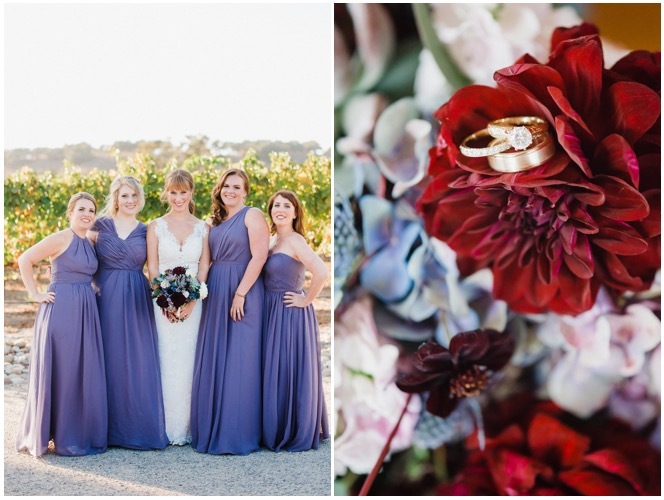 A special thank you to Melissa Musgrove Photography and Helena Kubicka De Braganca for capturing the stunning details of this safari wedding and creating last memories for this wonderful family. We were incredibly honored to be included in such a unique and festive event! 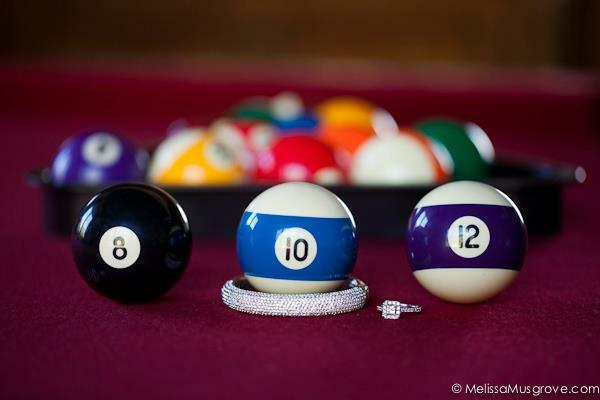 Melissa and Jon chose something completely different for their wedding. 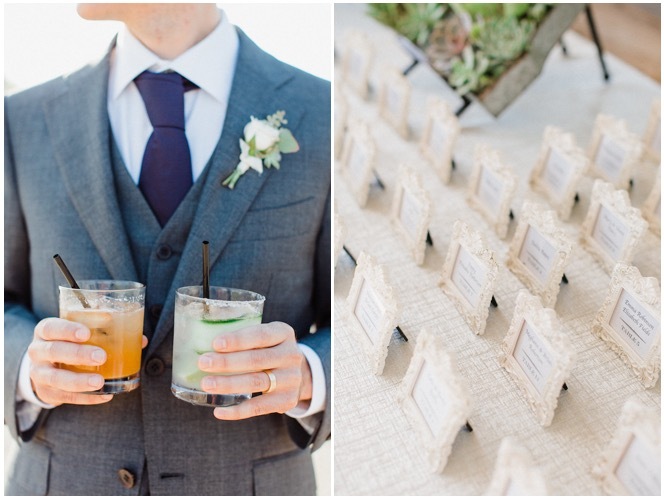 They wanted a small intimate dinner party for a select few guests, and to really make it special for those people! 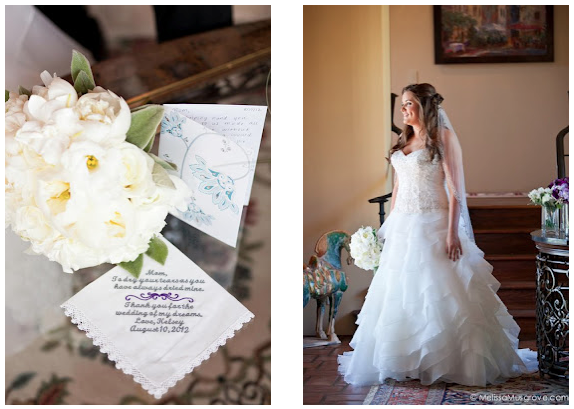 They selected Villa Sevillano as their reception venue and also spent a few nights in the home. Because they chose and smaller guest count of about 56 people we were able to utilize the indoor space for their reception. We brought in two incredible long wood tables and dressed them in silver runners and Camilla Svensson Burns provided the stunning flowers! 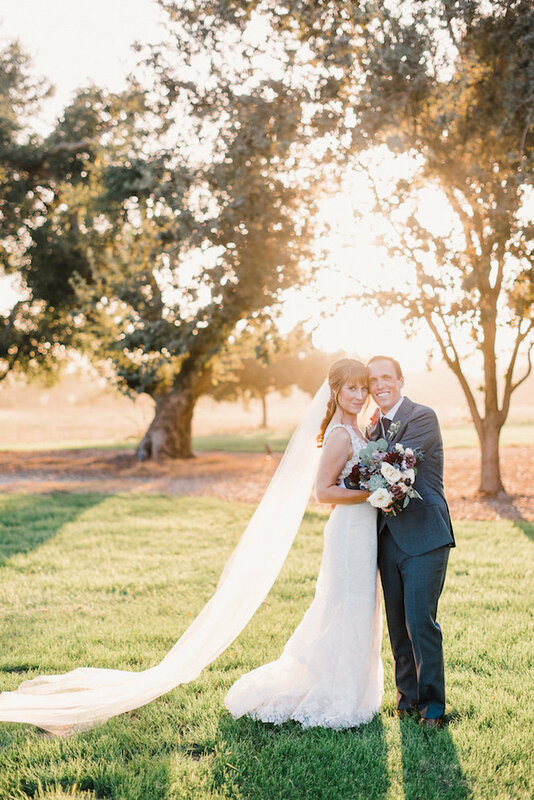 Melissa Musgrove captured this day so beautifully, we always love her work! 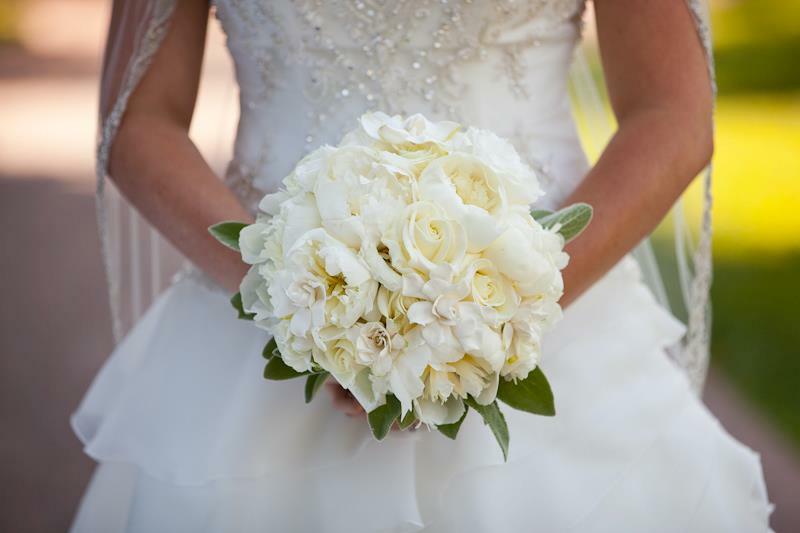 We are seriously IN LOVE with her bouquet! After the ceremony the guests enjoyed cocktail hour around the pool outside. The couple loved the fact that Villa Sevillano had so many olive trees they decided to do an olive oil tasting during the cocktail hour. 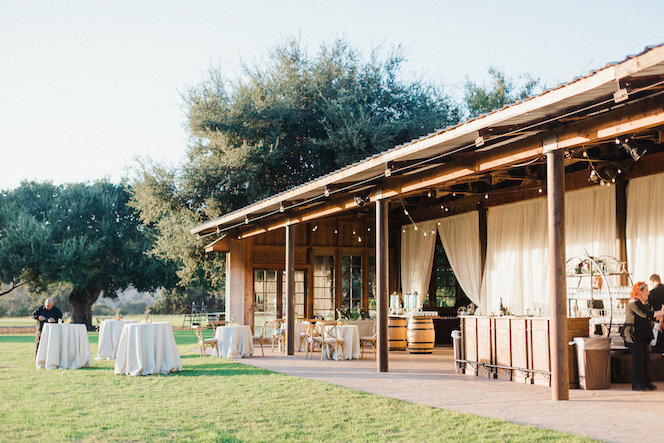 With a large selection of olive oils and flavored balsamic vinegars for their guests to taste on display, they could then bottle their favorite flavors to take home! 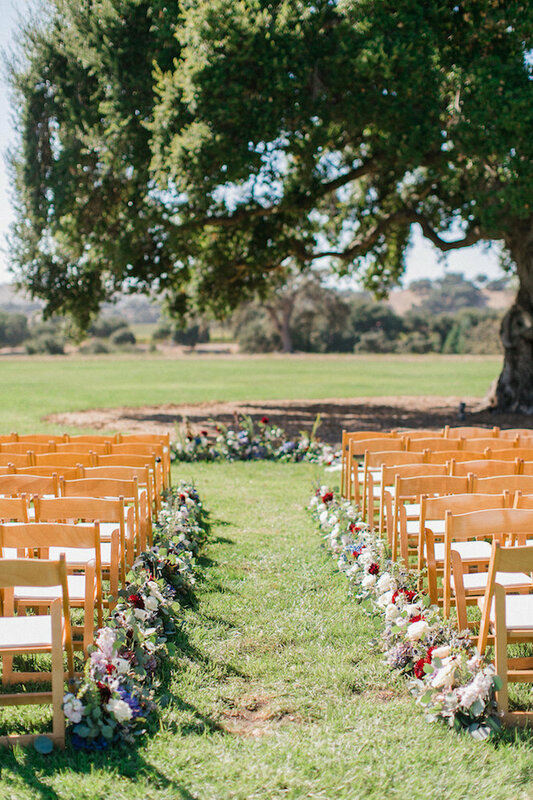 Such a fun and interactive idea for this venue. As we welcomed the guests into the dining room for dinner, they each found a hand calligraphed envelope with their individual names on the outside. Inside was a sweet thank you note from the bride and groom thanking them specifically for being at their wedding and how much it meant to have each person there. 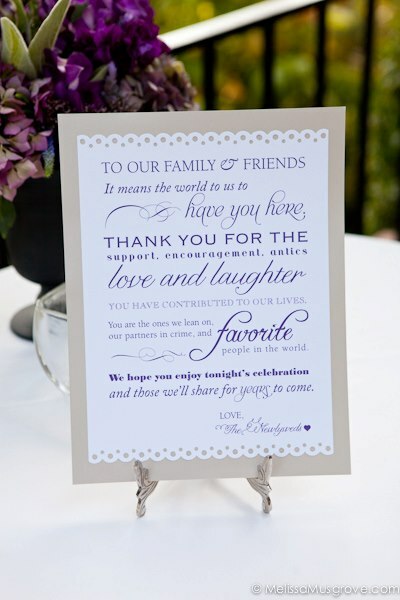 This was an incredible touch for an intimate party, and everyone felt so loved and appreciated. 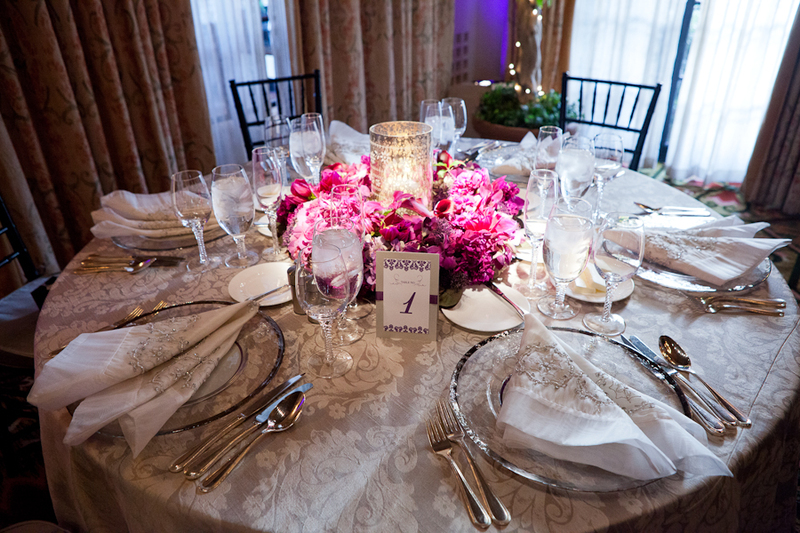 Once the guests had settled into their seats, the 7 course dinner began. 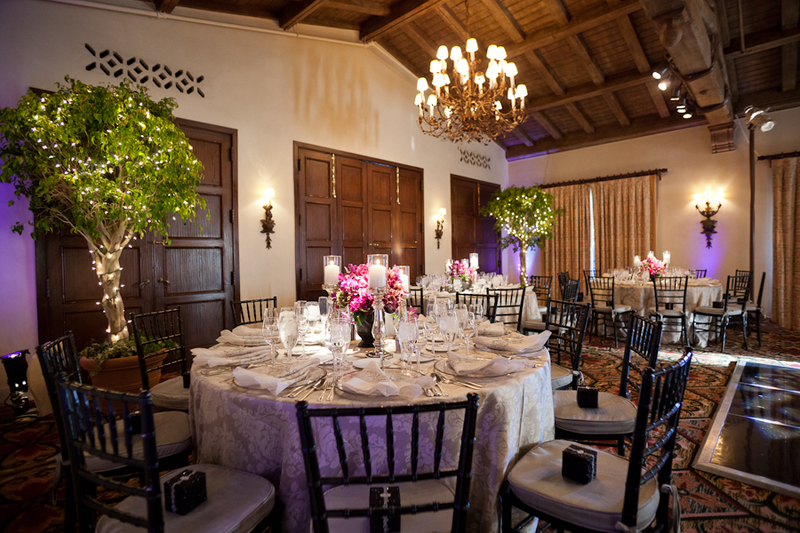 Duo Catering provided the guests with a feast they could never forget. Each dish was perfectly paired with a special glass of wine. Here I have shown a sampling of a few of the courses. After dinner the guests cozied up under the heaters on the outside terrace to enjoy coffee, cake and other mini desserts, then the party moved downstairs where they danced the night away with the DJ. 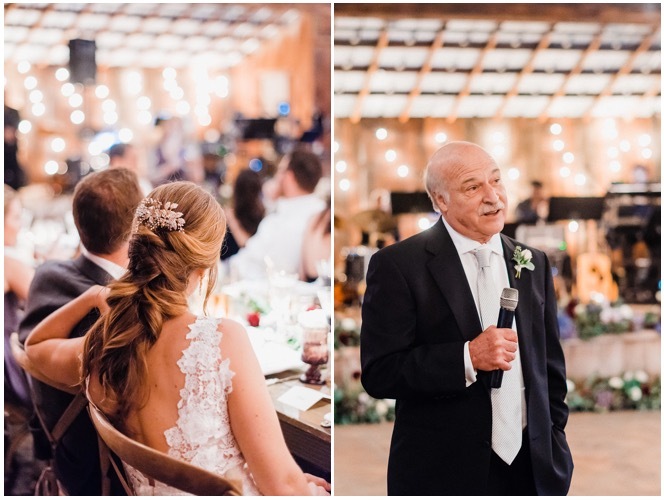 The event was an incredible success and the bride and groom could not have been more thrilled with the way their wedding day unfolded. 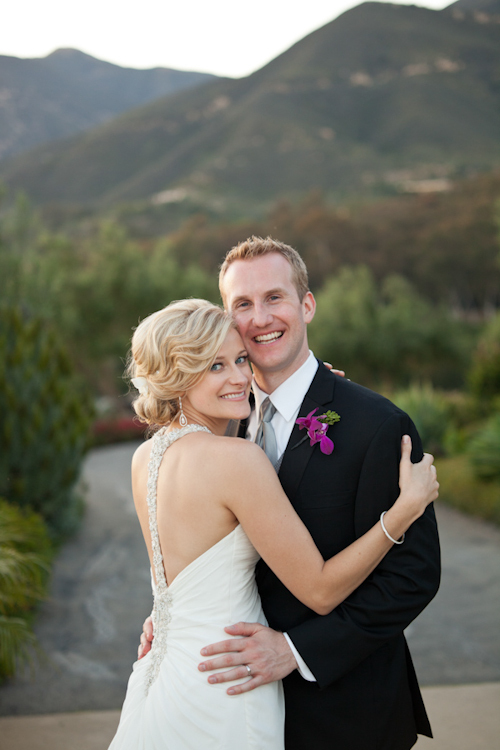 We loved working with Melissa and Jon and wish them a lifetime of love and happiness.